Key Verse: Verse 25 – "DALETH. My soul cleaveth unto the dust: quicken thou me according to thy word." If David is the author of Psalm 119, and I believe he is, then something has brought David low. Something now has David lying prostrate on the ground. It could be King Saul’s persecution of David, or Absalom’s rebellion, David’s adulterous relationship with Bathsheba, the death of his baby boy, or even the death of Absalom. Whatever it is, something has humbled David. Humility is not a bad thing; it cures envy, jealousy, strife, and division – just to name a few of its cures. 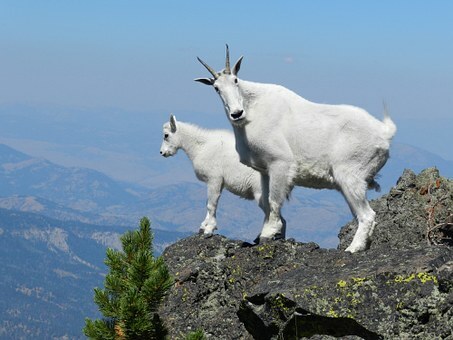 Martin Luther reportedly told of two mountain goats who met each other on a narrow ledge just wide enough for one of the animals to pass. On the left was a sheer cliff, and on the right a steep wall. The two were facing each other, and it was impossible to turn or to back up. How did they solve their dilemma? If they had been people they would have started butting each other until they plunged into the chasm together. But according to Luther, the goats had more sense than that. One of them lay down on the trail and let the other literally walk over him – and both were safe. So the next time pride raises its ugly head in your heart, defeat it with humility. Remember, humility was good enough for Jesus and David; it ought to be good enough for us as well. ✞ David’s soul was cleaving unto the dust. Who or what do you cleave to during your time of adversity or trial?